People are being asked to consider clearing leaves from the top of drains to prevent them from becoming blocked. Lancashire County Council highways staff estimate that around 4 out of 5 reports received during recent heavy rain were found to be caused by leaves plugging the grates, rather than a more serious maintenance issue. Blocked drains can lead to flooding during heavy rain, however the majority of problems could potentially be prevented simply by removing leaves from the top of the drain. People are being asked to consider clearing any debris away themselves if it’s safe to do so before reporting them. The county council maintains over 300,000 roadside drains with those most at risk of becoming blocked being checked most often. County Councillor Keith Iddon, cabinet member for highways and transport, said: “We will respond whenever we receive a report of flooding, however during the autumn we very often find that the problem is simply caused by leaves lying on top of the grate which act like a plug and stop the water flowing down. “If people can check that leaves have not settled on drain covers that would be great. “If there is a problem with water backing up, and people are able to do so safely, we’re asking them to consider brushing the blockage to one side to see if that works. If that clears the blockage, we’d ask them to please clean up the leaves and dispose of them. “However, please only do this if it’s safe as we would never want anyone to put themselves at risk. “We do of course respond to all reports that we receive, but particularly during heavy rain when we have to prioritise the most serious flooding issues, it’s worth people knowing that most blocked drains can be easily cleared. 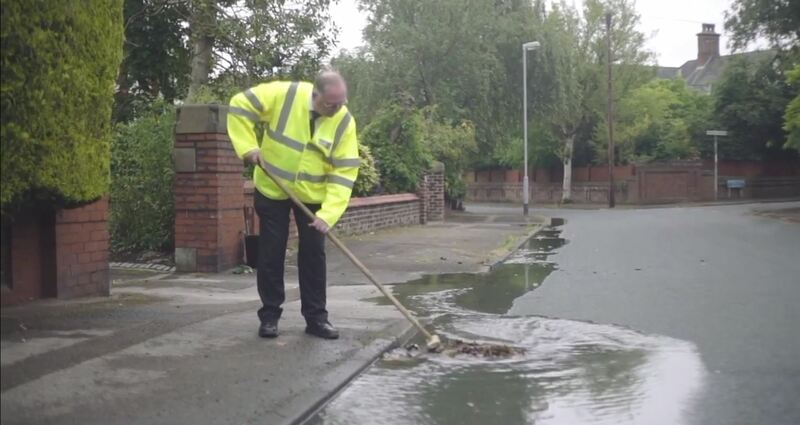 If anyone can’t clear a blocked drain themselves, or the problem doesn’t appear to be caused by leaves, it can be reported at www.lancashire.gov.uk or by calling 0300 123 6701 and highways staff will attend as soon as they can. You can find information and advice on flooding, including how to report an urgent problem, at www.lancashire.gov.uk/flooding.